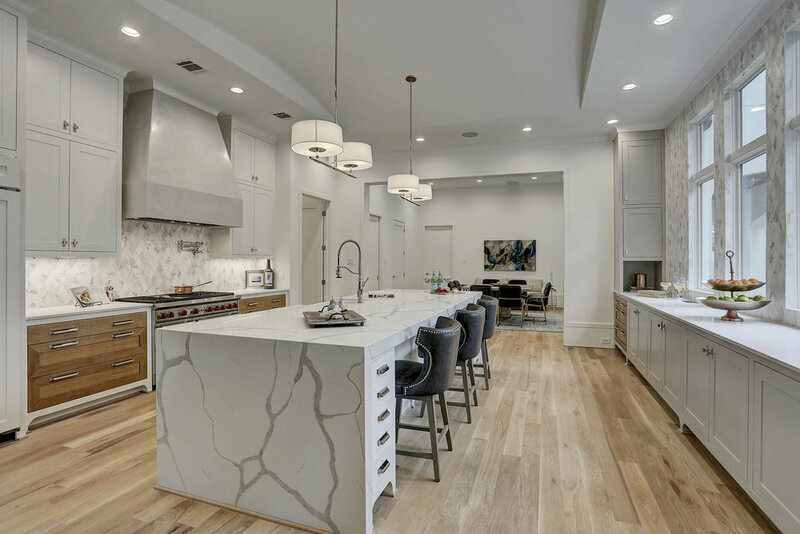 With just under 7,000 square feet of comfortably chic living, 4010 Meadow Lake possesses an ideal floor plan with beautiful finishes and meticulous workmanship. The first floor’s living room, kitchen and den all have views overlooking the spacious backyard and outdoor pavilion of this 10,452 square foot property. The 1,00 square foot master suite is provided with two oversized closets, an extravagant bath, as well as a morning bar and is located on the second floor with four additional bedrooms and oversized family room. The Smith Family Homes’ estate is located in the Oak Estates, within walking distance of some of the finest restaurants and shops located in Hihgland Village.